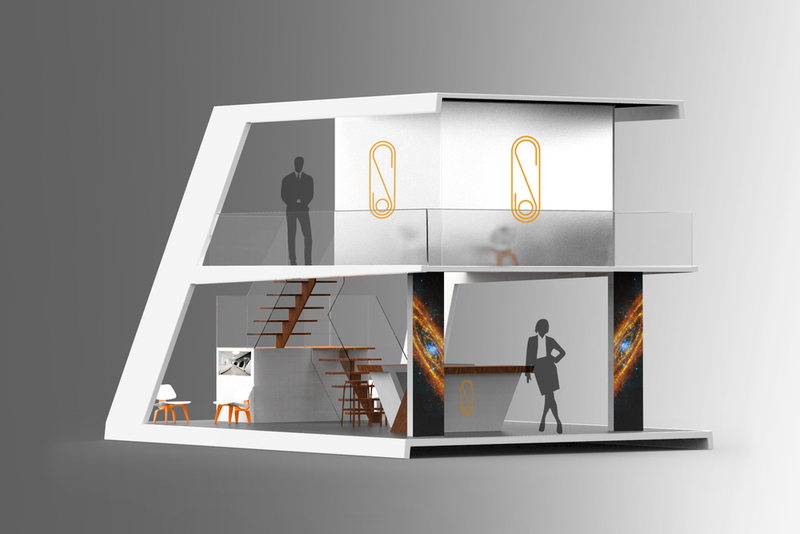 Spaced Out is a futuristic exhibit project sponsored by MG Design. 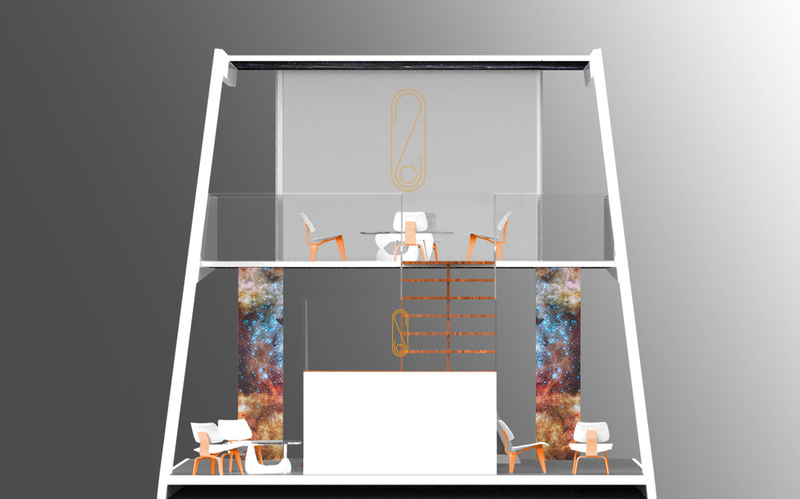 The goal of this project was to brand a start-up, space luxury cruise company and create a trade show exhibit. This was a team project consisting of three, industrial design students named Jeff Bogue, Maddie Ward, and Sarah Spalding. 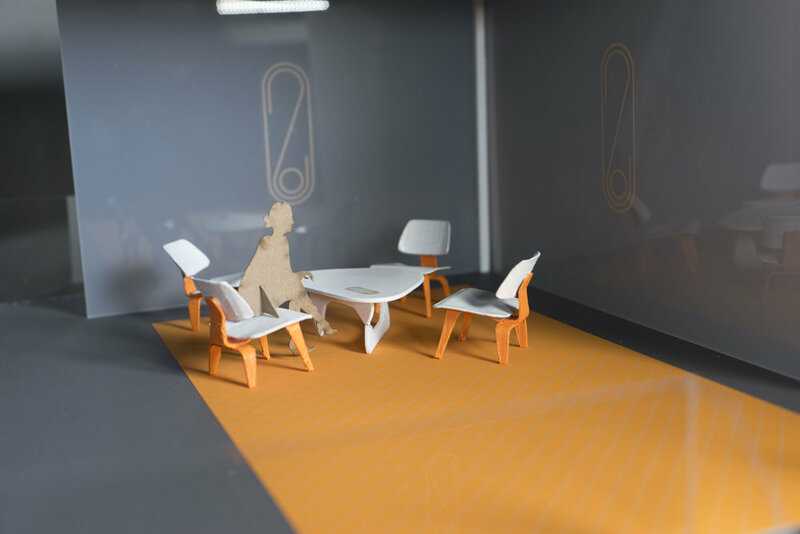 We began the project by constructing a 1 inch scale model of the exhibit in foam core and Skyping our client, MG Design to approve our design before finalizing our design. Below are images of the finalized 3D modeled exhibit design. Programs used: Solidworks, Keyshot, and photoshop. The chairs and tables were files we took from Herman Miller's site because we felt they complimented the luxury quality perception we wanted for our exhibit.